From Arnold Palmer’s iconic button-down cardigan to Ernie Els’ vest and now Tiger Woods’ latest collarless design, golf sweaters have long been part of every golfer’s wardrobe and manufacturers. 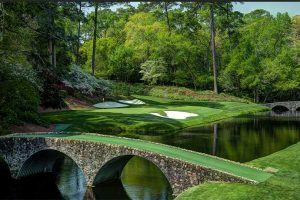 Adidas, Cutter Buck, Chase 54 and Straight Down know the world's greatest golfers attract and influence the sport's largest audience, making PGA events and broadcasts a prime opportunity to show off the strongest fashion trends. Made from a soft blend of breathable materials, this stylish Adipure Compact Wind Sweater from Adidas is ribbed on the cuffs with a double-layer ribbed collar so you can stay warm while your game heats up on a cool afternoon. And what is trending in golf sweaters has a lot to do with feel, fabric and multi-functionality. Recreational players want golf clothes they an wear off the golf course. 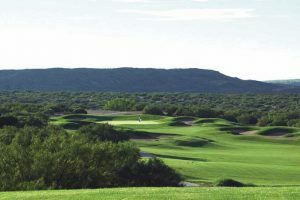 In addition to being performance-friendly with generous incorporation of stretch fabrics, golfers throughout New Mexico are also looking for protection against wind and rain, so the challenge is how to combine elements that keep a player warm and dry yet allow for comfortable swing motion. 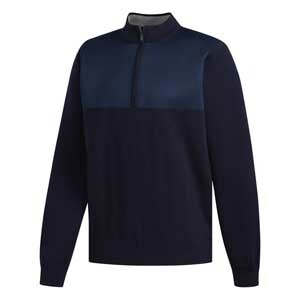 The latest from the Greg Norman Collection is this lined 1/4-Zip Wind Sweater. Made of a cotton-poly, wool blend, it is engineered to trap air for additional warmth. 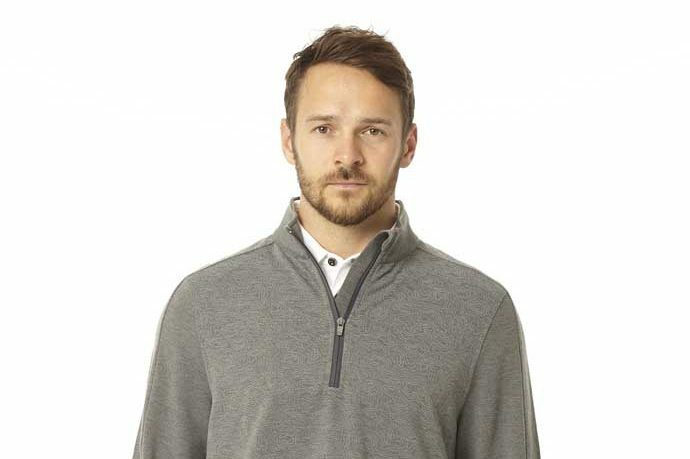 “Today’s golfer is looking for an added element of performance within the sweater, such as enhanced breathability and abrasion resistance,” Bronz Grisom, Apparel Product Manager for Adidas Golf said. “We select fabrics that have optimal stretch, as well as protection against wind and rain. While many of our layering, knit, and outwear styles are wind proof and water resistant, we do not compromise or sacrifice comfort and mobility. We can achieve this through premium material selection and development, as well as innovative design and execution,” Grisom said. 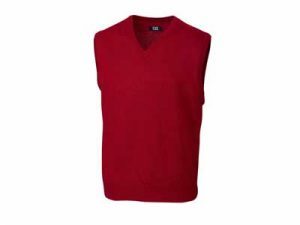 Available in a multitude of colors, this Douglas V-Neck Vest from Cutter Buck provides the right balance of fine wool to make it feel like a good quality sweater and just enough acrylic to make it easy to care for. Like other components of the sport, history plays a role in the design of golf sweaters. The heritage in golf usually finds its way back to Scotland which likes lots of patterns like tartans and argyles and window panes. Also the heathered yarns gives colors additional depth. 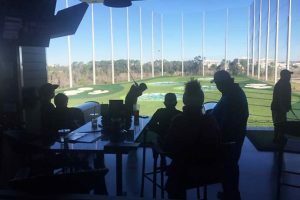 And as far as colors, depending on one’s own comfort zone, they can go from eye-popping hues that tour players such as John Daly, Ian Poulter and Billy Horschel, but most of the golfing public prefer more conventional tones. 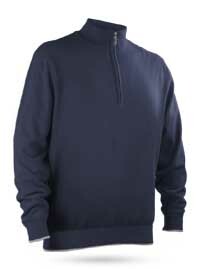 is a technical sweater with a windproof, stretch liner. The fine-gauge cotton shell gives the Gale Force a luxurious feel and refined look that plays well on and off the course. 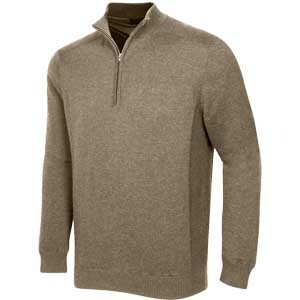 For golfers looking for a specific golf sweater design that is timeless on and off the course, the V-Neck sweaters have long been a classic multi-activity style. It plays well on the course, in the boardroom and out to dinner. Whether it is comprised of alpaca or merino wool, cashmere or cotton, it is really one of those designs that fit any lifestyle or activity. With many color options and availability in numerous fabrics, the V-neck sweater should be a core component of any golfer’s cool weather wardrobe. With both established and new apparel manufacturers putting in a lot of creative effort into producing quality sweaters, no matter your individual taste, you’ll find that looking good on and off the course has never been easier. 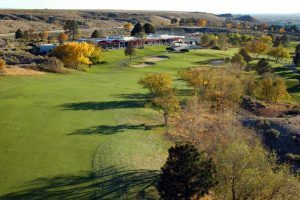 Randy Williams is a Santa Monica-based author/journalist who writes about apparel and accessories, equipment, luxury travel/golf getaways, history and lifestyle trends.